I swear, I just get a kick out of Tuesday's Tunes. The search to find a perfect song is just too fun. Ya'll, I've STILL got Blurred Lines stuck in my head but since I used that last week, I'm going to have to pick a new one. As a fan, I'm pretty unhappy that the band broke up. As a 31 year old, I realize that I sound like a teenage groupie. It is what it is, I guess. I've always been very passionate about music & the feelings and memories songs can evoke. My Chemical Romance music makes me feel alive. I put it on when I work out or clean the house because it peps me up and gives me energy. 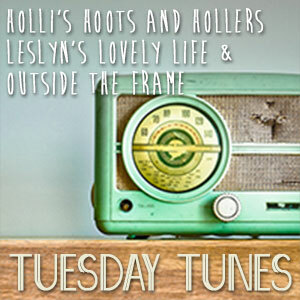 I'm linked up for Tuesday's Tunes at Leslyn's Lovely Life. Pick a song and come link up with us!